When conceived by its developer, SP Setia Bhd, EcoHill Taipan was planned as part of a game-changing commercial masterplan that would give the once sleepy district of Semenyih a much-needed vibrant boost. Now, having completed construction and the handover of keys to unit owners last December, the newly minted EcoHill Taipan commercial centre is expected to not just elevate the immediate township of Semenyih, but also take its surrounding districts to greater heights. Owners of EcoHill Taipan could see a minimum of 6% rental yield. 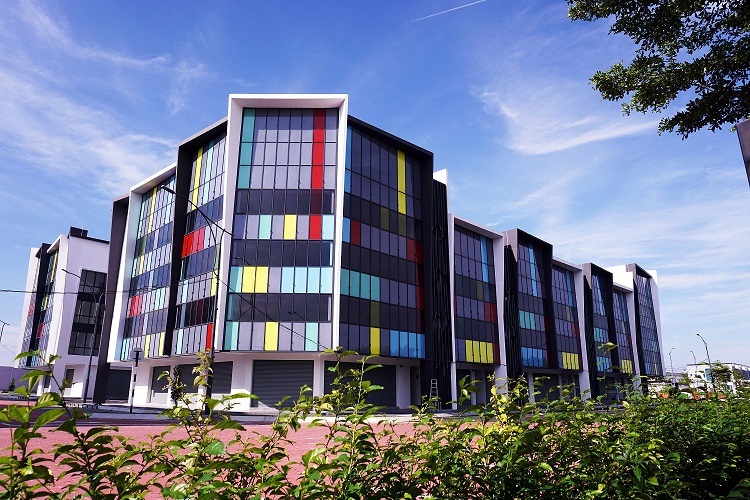 According to SP Setia, this buoyant outlook is due to the enduring demand for modern commercial property options in the area, which is rapidly evolving as a society. This demand is evidenced in the quick uptake of units at EcoHill Taipan and its rapid attraction of tenants – which has so far been represented by a good mix of businesses. Comprising 56 shop-offices, which have been designed with unique colourful glass façades as well as spacious floor plans and ceiling heights, the RM130 million is set to be a new focal point for the Semenyih community with the provision of various facilities and amenities that are crucial modern needs. General manager of Setia EcoHill SM Koh said the project features intermediate three-storey units while corner units are four-storeys high. These are now fully sold out and the commercial hub is currently focused on attracting the right mix of tenants for the vicinity. “At the moment, we have a good mix of businesses including clinics, trading companies, F&B outlets as well as other services ready to be rolled out in the coming months. We are confident that owners of EcoHill Taipan will get to enjoy a minimum of 6% rental yield from their investments here,” he added. Located in a strategically at the crossroad of the busiest main road in Semenyih, with high visibility and ample access, the site is surrounded by matured communities of close to 60,000 residents who will benefit from the services offered. “Initially, leasing services were set up free-of-charge to provide shop owners with match-making and lease negotiation services to establish the commercial area in the fastest time possible. We are now ready to open for business ahead of the expected completion which was actually scheduled to be in the second quarter of 2018,” said Koh. EcoHill Taipan makes up part of the masterplan to create a vibrant lifestyle commercial hub at Setia EcoHill. 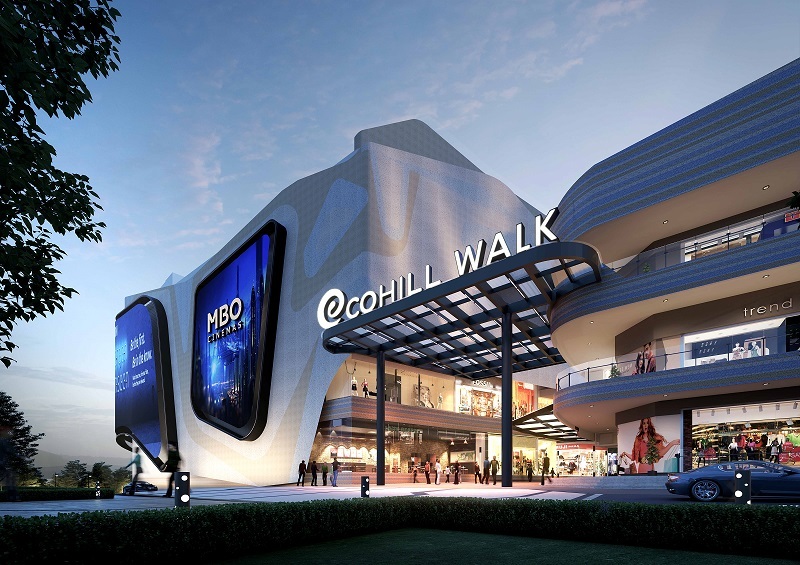 The second phase of commercial developments at Setia EcoHill will feature EcoHill Walk, which an integrated mixed development in the Kajang-Semenyih Corridor. Expanding on the promise of this new component, Koh said EcoHill Walk will feature a neighbourhood mall with a gross development area of 300,000 sq ft. 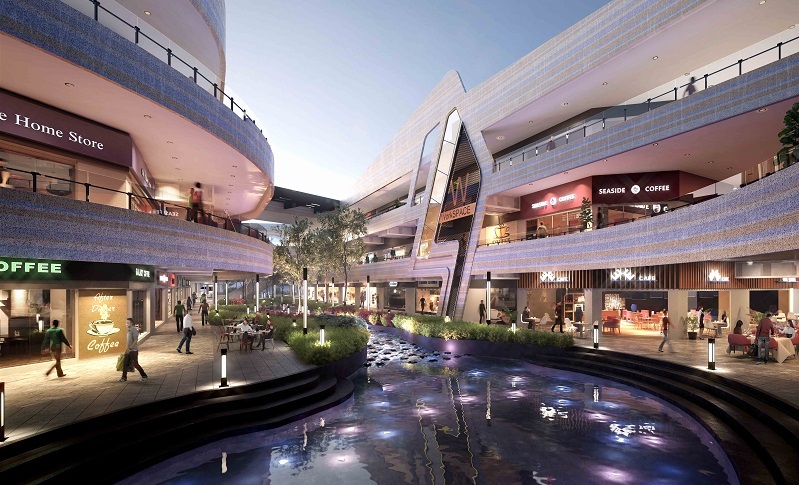 It will provide 890 units of service apartments as well as 80 blocks of strata lifestyle retail shops and office units interconnected via sheltered pedestrian walkways and lifts amidst spectacular landscapes. Retail and office units are available for purchase from RM455,000 onwards. The project will be complemented with 2,000 parking bays for customers and business operators. With an average built up of 1,500 sq ft, the units are available for purchase from RM455,000 onwards. Once completed in 2020, EcoHill Walk will have the capacity to reach and appeal to over 600,000 residents within a 20km radius of the Kajang-Semenyih Corridor. Koh pointed out that improved infrastructure in Semenyih has certainly created an influx of buyers from surrounding neighbourhoods, while the introduction of a beautiful living environment and a well-thought-out master plan by S P Setia has played a crucial role in redefining the vicinity to give it fresh appeal. Semenyih now represents an ideal opportunity to invest into a burgeoning community, and those looking to leverage on the growing commercial clout there can call SP Setia at +603 8724 2255 or email [email protected] to make an enquiry.